MADRID – For their 2018 “Meet You There” tour, in support of their third album, Youngblood, released last June, Five Seconds of Summer (5SOS) performed at venues around the world. Engineer Pavan Grewall, working monitors this trek, used a DiGiCo SD10 console. Australian pop-punk band 5 Seconds of Summer (5SOS) made their name as somewhat of a YouTube sensation, but rose to international stardom after touring with UK mega-boy band One Direction during their 2012 Take Me Home tour. 5SOS have since released three studio albums, headlining three world tours in the process. 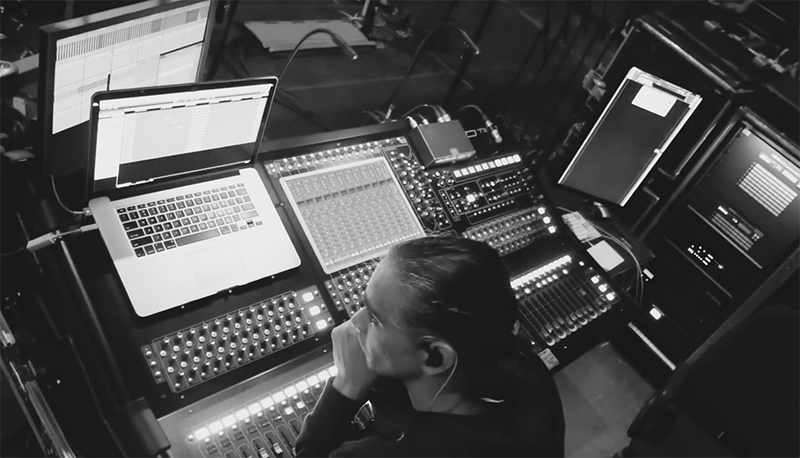 Their current Meet You There tour supports their latest hit record, Youngblood, and at stage left position, Pavan Grewall is working from his trusted DiGiCo SD10 console. Grewall is adept at both FOH and monitor roles. He has flown faders at FOH for a number of well-known artists, including Meghan Trainor, Nick Jonas, and Canadian singer-songwriter Carly Rae Jepsen, with whom he spent five years touring the world. The uber-successful 5SOS Meet You There tour ran from August to November last year, kicking off in Osaka, Japan, and finishing up in Madrid, 52 shows later, with Grewall’s SD10 not missing a single beat.